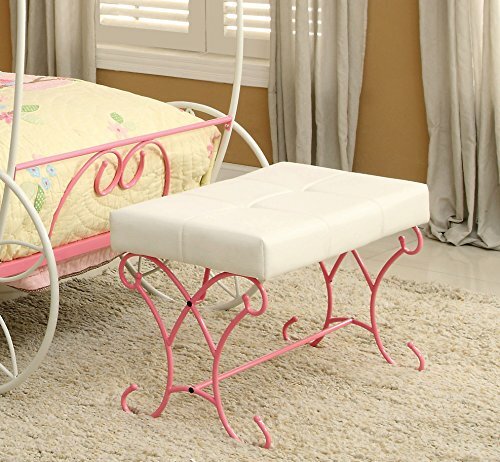 Charming in appeal, this fairy tale inspired bench showcases swirling accents all around. The combination of pink and white along the full metal structure adds to the youthful and princess-like atmosphere. Matching nightstand and bed sold separately. Overall Dimensions: 31.63"L x 16"W x 19.13"H. Product made in China, assembly required. Accessories and decor not included.